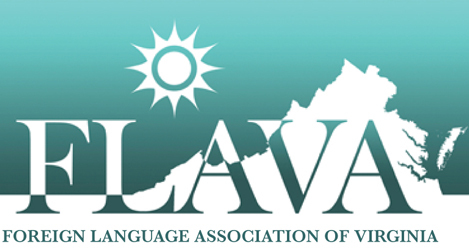 The Foreign Language Association of Virginia provides an opportunity to share innovative teaching, technology, research and student success strategies. The deadline for Exhibitor proposals is August 15, 2019. Please use this form to submit a proposal to present at the conference. All presentations will be 45 minutes; workshops are 90 minutes. FLAVA will assign your presentation day and time and asks that you adhere to it. Platinum registrations include one conference session; Diamond registrations include two sessions; Bronze registrations do not include a session by default, but a session can be added for an additional $200 during registration. Note for Exhibitors: regular participant registration and payment are not required for exhibitor representatives already added during the exhibitor registration process. Please enter the proposed title of your session. Please select the format of your session. Please note: presenters are responsible for providing their own audio/visual equipment. Plan to bring a presentation laptop, projector, clicker, speakers, etc. Please write a brief description of your session, in English. This description will be used to promote your session in the program. FLAVA reviewers reserve the right to edit the session description if necessary. Please select the language focus of your session. If your session focuses on multiple, but not all, languages, please choose "Other" and enter the language focus as needed. Please select all audiences for whom your session is targeted. Please enter the language in which your presentation will be given. Information for all presenters on a team or panel must be provided below. Owing to space constraints in the conference program, only up to three presenters will be recognized. The principal presenter is responsible for submitting the proposal by August 15, as well as forwarding any communication to secondary presenters. Please enter the following information about the lead presenter. I prefer to be contacted via my cell phone. I prefer to be contacted via my school/company phone. Please indicate whether this presenter is planning to present as lead and/or co-presenter in two (2) or more sessions. Check this if you have a second presenter to add. Please enter the following information about the second presenter. Check this if you have a third presenter to add. Please enter the following information about the third presenter. Any person with a disability who needs special accommodations to fully participate in the conference must notify the Association by August 15th. This notification should include a written description of the accommodations needed and should be sent via the FLAVA contact form; please choose “Conference” as the topic. FLAVA will make every attempt to meet your needs within the limitations of the association’s resources. Please confirm the following before submitting your proposal. All confirmations must be checked for your proposal to be considered. I have submitted all required information. I will register for the FLAVA Fall Conference by August 31st. I will communicate with my co-presenters. I will provide my own audio/visual equipment.